Quick update post! 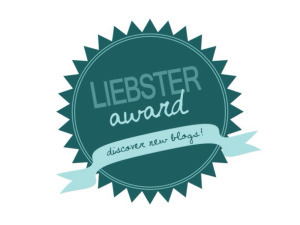 I’ve been nominated for the Liebster award by another new blogger, GreenMind/VegHeart at https://greenmindvegheart.wordpress.com/2015/04/11/liebster-award/ and I’m quite flattered! Thank you!! There aren’t many places that wouldn’t make this list, but most immediately, I’d like to do a lecturing tour at Hogwarts! Wandering in the woods, trying to learn to talk to trees! Watching an older mage mistakenly cast a fireball in a small room- nothing was damaged except the poor fellow’s eyebrows, but it was freeing to see that even older, more powerful mages messed up, too!! Not sure I have a spirit animal, but the last time I summoned a patronus, it was a fox! What do you think is the greatest challenge the next generation will face? Necromancy. The threat is real, folks. I like grocery shopping, and even enjoy wandering grocery stores I’ve not been to, just to look around. I like talking to people about what they find hard or discouraging about cooking, and trying to find simpler, more straightforward recipes to make cooking more fun for them! My left foot is a full half size bigger than my right foot. I REALLY like pointy hats. The hardest part about writing this food blog is remembering to measure ingredients before adding them. I used to only be able to handle the juice (not the chunks) in mild salsa, and have learned to handle more spice, such that now I add hot sauce and red pepper flakes to food ON PURPOSE! I occasionally make certain dishes so that I can have an excuse to cover them in ketchup… sloppy joes, roasted potatoes, chili, there are many others…. What is the biggest challenge you face in the kitchen? What species is your familiar? What is your preference: wand, staff, other? What book have you read the most recently? What thing, if spotted at a farmer’s market, can you not stop yourself from bringing home? What fruit or vegetable, despite your best efforts, can you not stand? I hope other bloggers keep up their good work, and we’ll all keep making magic! Have a happy weekend! This entry was posted in Blogy Stuff and tagged Liebster Award, update. Bookmark the permalink.